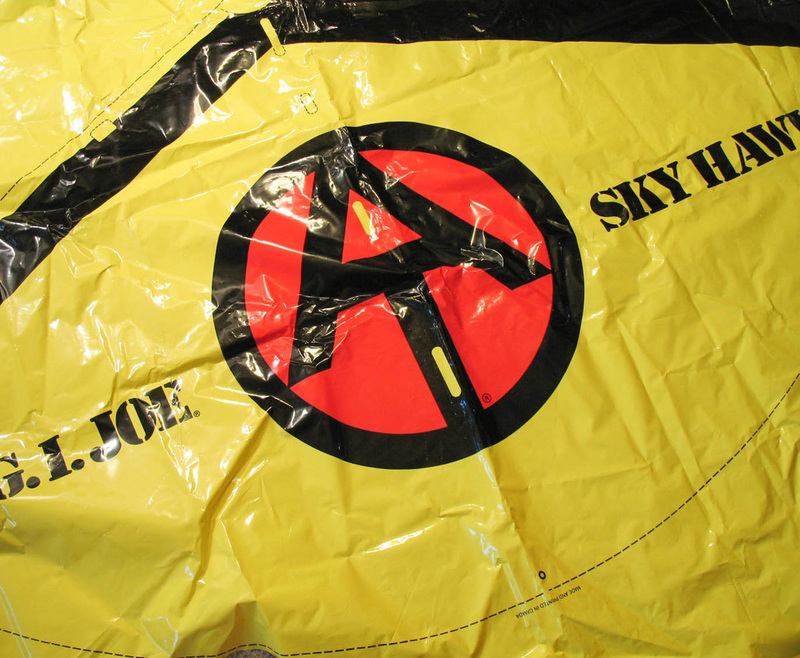 The Skyhawk (7470) is a nice idea, but it might better have been called the "Crash-hawk." 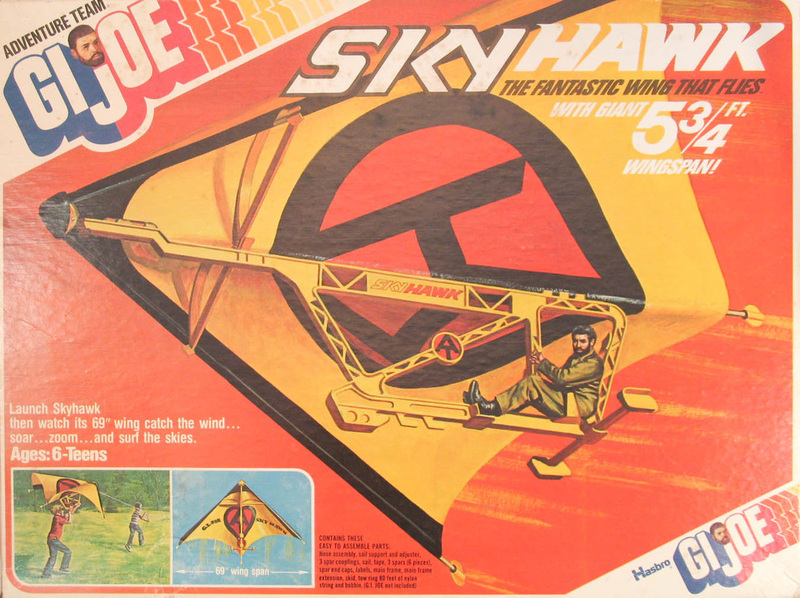 The concept is that of the hang glider, and when set-up it makes a huge cool looking kite with a seat for GI Joe to ride on. 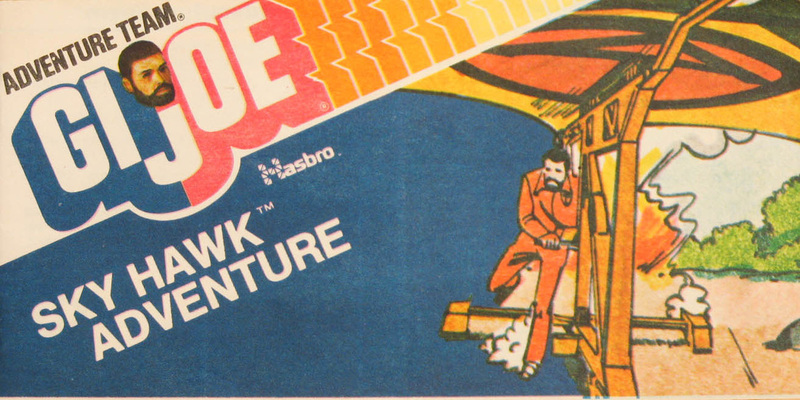 Put together it weighs a ton and is very unwieldy. 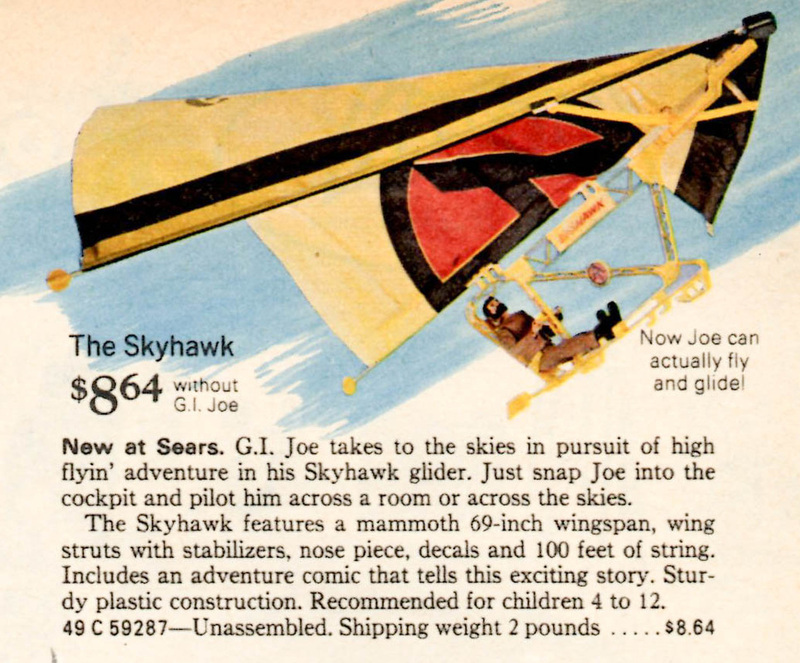 It takes winds close to gale force to get it aloft, and once up kids were supposed to slip the flight line loose and let the contraption glide with Joe to who knows where. More often than not 'the fantastic wing that flies' plummeted like a rock straight to the earth. If anyone has fond memories of this monster working properly, I would love to share them here!